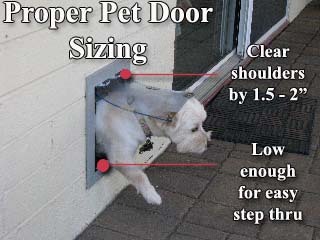 The MaxSeal Door Model pet door offers you the ultimate in pet door design. We use only the highest quality components to fabricate one of the industry's best selling, high performance pet doors for walls. The MaxSeal is designed to provide the very best in an insulating seal and home security when locked off. There are 10 different sizes, allowing you to customize the size to any type of pet or situation. 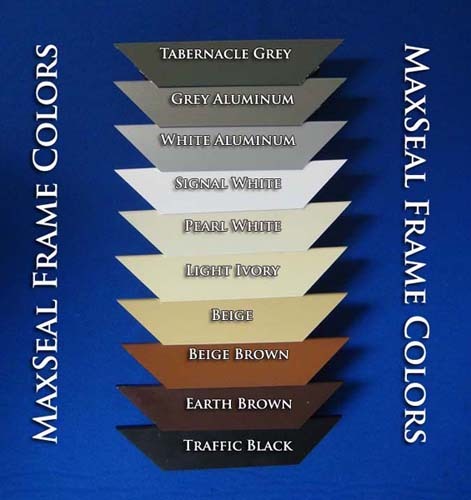 We also offer 10 different frame colors and two security panel colors to match or augment nearly any home decor. Congratulations on your purchase of a MaxSeal Door by Security Boss. The following is a step by step guide for installing your MaxSeal product. The Security Boss Manufacturing Door Mount model includes a Protective Rain Guard Attachment. This rain guard is meant to be mounted on the top exterior frame section of a pet door. Follow the steps below in Section A to install the Protective Rain Guard properly on a new pet door, Once the Protective Rain Guard is properly attached, follow the remaining instructions for installation of the door. If you choose not to use the Protective Rain Guard, skip to Section B. It is best to affix the Protective Rain Guard to the Exterior Frame before mounting the exterior frame to the mounting surface. Follow steps, 1, 2, 3 and 4, and then complete the pet door installation according to the Manufacturer's instructions for sealing the pet door. Step 1: Be sure that you have the correct length of Protective Rain Guard for your particular door before proceeding to Step 2. To determine the correct length, measure the outside edge of the pet door frame across the top horizontal section. This measurement will be the length of the Protective Rain Guard. Step 2: If necessary, use Scissors or Snips to cut the Protective Rain Guard to the length of the top horizontal frame piece. Cut the fin with the Utility knife first then cut the metal reinforced C Channel. It is easiest the cut between the metal reinforcing ribs. Step 3: Push the legs of the Protective Rain Guard mounting channel onto the top horizontal edge of the Exterior Pet door frame. If the mounting channel is not gripping the pet door frame tightly, remove the Protective Rain Guard and use a pliers the gently compress the C Channel on the Protective Rain Guard. Then reapply the Protective Rain Guard to the Frame. Step 4: Once you have verified that the Protective Rain Guard is seated fully on the edge of the pet door frame, your Protective Rain Guard is installed. Step 3: Find a suitable area for your door mount model. 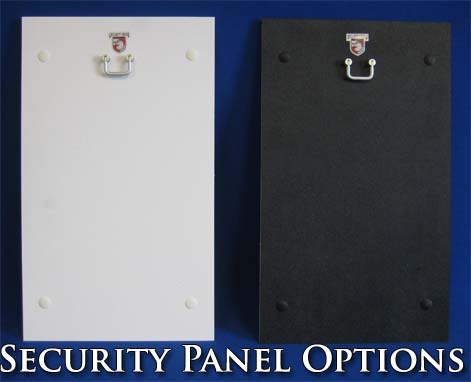 Door models have an Insulated security panel that lifts out vertically (side loaded panel models are available as needed). Make sure there is adequate room for removal of this Panel. Try to position the location of the rough opening such that it is no closer to the edge of the door than 3 inches to maintain structural strength within the door. Step 4: Trace the flange of the MaxSeal door using a pencil. Use the dimension of the flange perimeter to determine the dimension of the rough opening. The above measurements are exact dimensions, you may add slightly depending on the accuracy of your cut. Step 5—WOOD DOORS: For wood doors, drill out two corners diagonal from each other using a 7/8 inch paddle bit or a 5/16 inch regular bit. If you use a regular bit, drill three holes close together then elongate the holes until you have connected the three holes. This will allow insertion of the reciprocating saw blade. Cut out the rough opening along the traced lines. Step 5—METAL DOORS: For metal doors, follow the above directions for wood doors, using an appropriate blade made for cutting metal. Step 6: Separate the Interior and exterior door frames. Remove the Insulated Security Panel from the inside frame. Step 7: Put the inner frame (the one with the insulated security panel) into the rough opening in the people door. Snap the outside frame into MaxSeal door and sleeve the pet door frame together. Replacement rivets have been included with your hardware kit should the ones on the MaxSeal Insulated Security panel work loose. Install by pressing the two pieces together from opposite sides of the panel in the pre-drilled holes. The Thumbscrews that attach the flaps are factory tightened. Through use, the thumbscrews occasionally loosen and therefore should be checked regularly for tightness. Retighten the thumbscrews using the included Allen wrench. The magnets on all MaxSeal doors are adjustable. This allows a precise seal no matter the weather or size of the flap throughout the years. The magnets are positioned in the frame with a pressure fit. The Magnet is held by an aluminum carrier that can slide in and out of the painted frame rail. The best way to lift the magnet is by using pliers to lift the magnet out of the frame rail. BE SURE TO COVER THE MAGNET AND CARRIER WITH A TOWEL TO PREVENT SCRATCHING OF THE FRAME AND CARRIER. Only lift the magnet the minimum required to make the magnet touch the strike plate on the flap. If the Magnet Carrier becomes loose within the frame after adjustment, simply pry the two legs of the magnet apart and reinsert into the frame rail. The magnets are adjusted correctly when there is zero airspace between the magnet and the strike plate. Once the magnets are positioned properly, your replacement flaps is installed. You have now installed your new MaxSeal Door. Security Boss Manufacturing, LLC., recommends that households with small children need to exercise proper judgment with leaving their children unattended in any area with a pet door. Pet Doors come with locking panels and locking devices, using these devices minimizes any risk, but does not replace proper parental supervision. Virtually all doors use magnets for the activation of the pet door as well as in the sealing of the flaps. Customers with certain medical devices, for example; Pace Maker patients, should consult their physician.